The apartments are 3; Il Mandorlo by 4 beds, Il Ciliegio 4 beds and Il Leccio by 4 beds. Each apartment has a private bathroom, color TV, hairdryer. 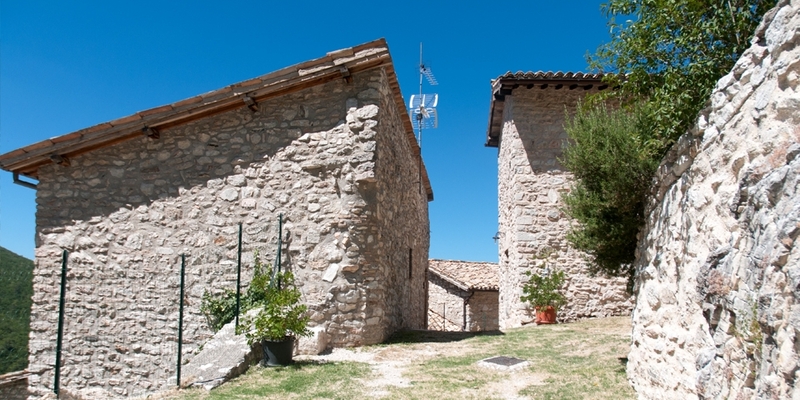 The surrounding landscape is ideal for walks and hikes (for the use of mountain bikes or horses "Le Rocche" has an arrangement with nearby). 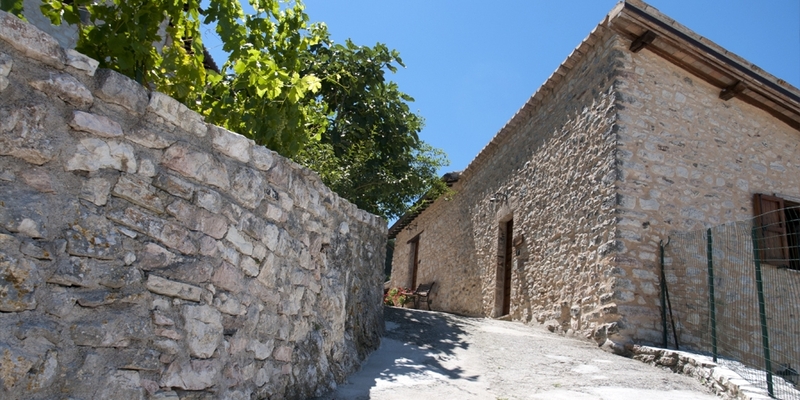 Agriturismo Le Rocche is located in a small family run farm, near Bazzano Superiore in the municipality of Spoleto (PG) at an altitude of 633 m above sea level. 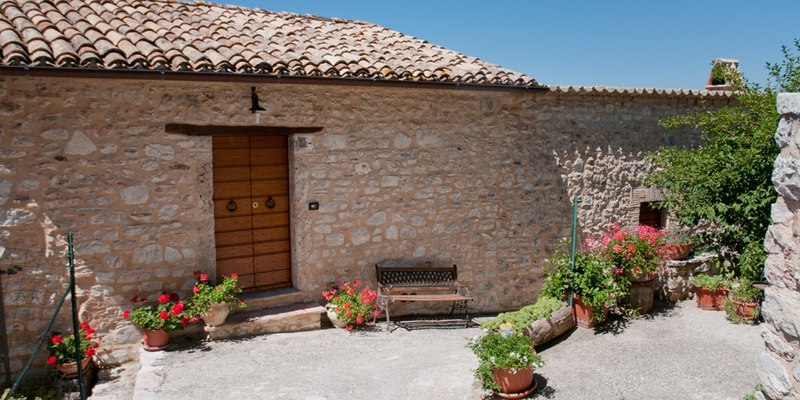 Agriturismo Le Rocche is the perfect place for those who like a quiet holiday in the countryside of Umbria surrounded by high hills; a holiday marked by the natural rhythms of the country life, away from the hustle and bustle of city. No pool, no spa or sale of miracle products for the silhouette. At the time of booking you can also require meals, great opportunity especially on your arrival day! Please report any food allergies . Meals are cooked by a partner restaurant of traditional Umbrian cuisine and delivered to your accommodation at the specified time. Agriturismo Le Rocche has a beautiful panoramic position since it's placed on top of a small hill . The total area is about 40 hectares, of which slightly more than half made up of woods. 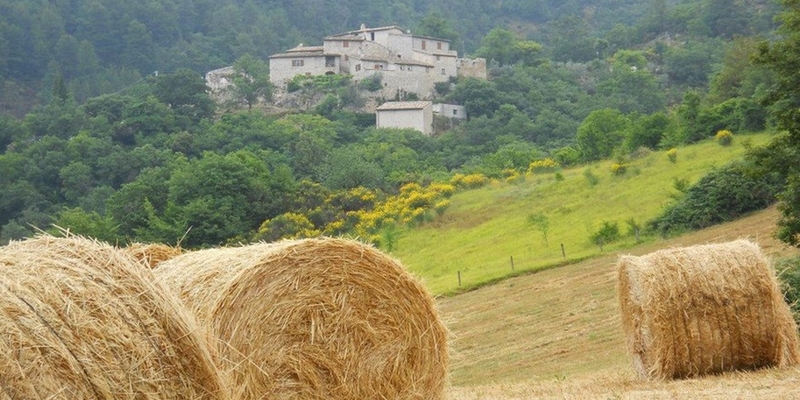 The main crops are, in order, alfalfa , oats, olive groves, vineyards , fruit trees and vegetables . Three acres are used for grazing. Livestock consists of cattle, Chianina , sheep, goats and farm animals. The vegetation consists mainly of oak trees as well as various species of shrubs . Copyright © 2019 Agritur Le Rocche - P.I. 02586200541. All Rights Reserved.